Is AI capable of producing Art? According to Wikipedia, art is defined as the expression or application of human creative skill and imagination, typically in a visual form such as painting or sculpture, producing works to be appreciated primarily for their beauty or emotional power. Music, theatre, film, dance, and other performing arts, as well as literature and other media such as interactive media, are included in a broader definition of art or the arts. Motivated purposes of art refer to intentional, conscious actions on the part of the artists or creator. These may be to bring about political change, to comment on an aspect of society or to convey a specific emotion or mood to address personal psychology. Artificial Intelligence (AI) is a combination of advanced statistics and applied mathematics which harnesses new advances in computing power and the explosion of available data enabling computers to have new powers of inference, recognition, and choice. Yet what is often overlooked is the revolutionary impact AI might have in creating art. Creativity is one of the great challenges for machine-intelligence. There is no shortage of evidence showing how machines can match and even outperform humans in vast areas of activities, such as face and object recognition, image synthesis, language translation or a vast variety of games such as chess and Go. But when it comes to creativity, the machines lag well behind. Hence the question is AI capable of producing art? DeepDream is a computer vision program created by Google engineer Alexander Mordvintsev which uses a convolutional neural network to find and enhance patterns in images via algorithmic pareidolia, a psychological phenomenon in which the mind responds to a stimulus, usually an image or a sound, by perceiving a familiar pattern where in reality none exists. Common examples are perceived images of animals, faces, or objects in cloud formations, thus creating a dream-like hallucinogenic appearance in the deliberately over-processed image. 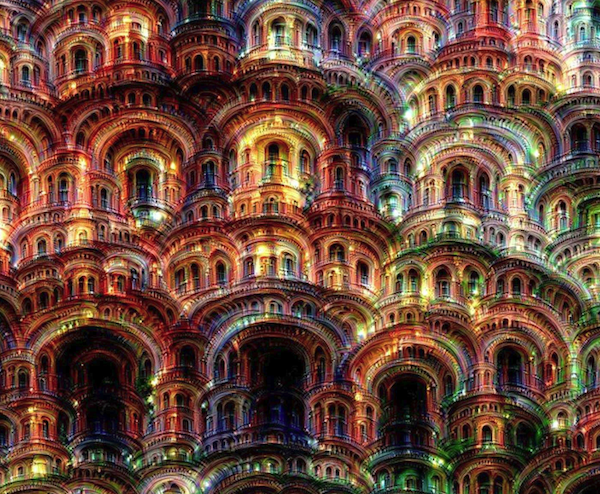 In June 2016, inspired by DeepDream, Google launched the Magenta project, which directly addresses the question, “Can machines be creative?” Magenta is a research project that explores the role of machine learning in the processes of creating art. Magenta will create interfaces and platforms that will allow artists with no coding or AI experience to use these tools to create their own work. Beyond this, Magenta could potentially program machines that will produce works of art on their own, without the influence of human artists. In another similar project, researchers are utilizing deep learning techniques to allow AI to create music or write mournful poetry. One example comes from Aiva Technologies, a Start-up created in February 2016, specialising in Classical and Symphonic music composition. Aiva became the world’s first virtual composer to be recognized by a music society (SACEM). It is capable of understanding concepts of music theory for composing music on its own. Their algorithm is based on deep learning and reinforcement learning architectures. Pierre Barreau, CEO of Aiva Technologies, thinks that creativity is no longer an exclusively human quality. His company’s AI music can display creativity, which Barreau describes as a combination of inspiration and innovation through randomness. The inspiration is built up through an extensive training on 15,000 pieces of symphonic music written by Mozart, Beethoven, Bach, and other great composers. “The innovation part comes through randomness and it is, by design, very good at innovating, because it can try a lot of very different ideas very quickly”, according to Barreau. Some of the most fascinating research on machine-learning as applied to art is being conducted by researchers at Rutgers University’s Art and Artificial Intelligence Laboratory. Most recently, the lab generated entirely new artworks using a new computational system that plays the role of an artist, attempting to demonstrate creativity without any need for a human mind. Although it creates its own images, the system, dubbed a Creative Adversarial Network (CAN), relies on creative human art works during its learning process. The researchers programmed it to study 80,000 WikiArt images of Western paintings from the 15th to the 20th century so that it knew what kind of images have traditionally been aesthetically appealing. Once the system learned these styles, it then worked to deviate from them. The system has two AI components: one that generates art and one that judges art. By doing so, the system tries to do something novel that doesn’t fit into established styles but is still aesthetically appealing. In a paper published in June 2017, the researchers Ahmed Elgammal and his colleagues reported the results of a test where 18 individuals judged CAN generated pictures, comparing them with images of real paintings —half by famous Abstract Expressionists and half shown at ‘Art Basel 2016’, a flagship art fair for contemporary art. The results of this experiment showed that 59% of the time subjects selected CAN images as more novel and 60% of the time they found CAN images more aesthetically appealing. Many even thought that a majority of the images shown were generated by the CAN system. Baroque composer Johann Sebastian Bach has written many chorale cantatas, polyphonic hymns based on Lutheran texts. Each is fairly simple, featuring a single melody accompanied by three harmonies. Gaetan Hadjeres and Francois Pachet from Sony Computer Science Laboratories in Paris were interested to see if a machine could create chorale cantatas indistinguishable from Bach’s. They developed a neural network called DeepBach, using a training data set of 352 Bach cantatas that were transposed to other keys within a predefined vocal range, to create a total of 2,503 chorales. After training, DeepBach was able to produce its own harmonies. The team asked more than 1,600 people — a fourth of whom were professional musicians or music students — to listen to two distinct harmonies of the same melody. The results showed that more than half the listeners attributed DeepBach-generated harmonies to Johann Sebastian Bach. There is always the question of how art is defined, but from a customer’s point-of-view, the tests referenced above indicate, that AI produced art can be valued equal to art produced by humans. As long as enough training data is available and certain styles of art, represented in music or images, are aesthetically adhered to, it appears that AI based productions can be perceived as art. The crucial point is that ‘creativity’ in AI produced art is induced by a random generator which produces variances, deviating from the norm. The results in turn are matched against an AI-machine based ‘judge’, deciding on the final product to be released by the machine. This random generator could be modelled after an individual’s taste, with AI creating something we might call ‘personalized art’. To create an object of personalized art, a virtual agent guides the customer through a dialogue to determine his taste and preferences. At the end of this query a fee could be charged for the service provided. This process stipulates a new form of art-dealership which could augment the present form of selling art through galleries and auctions. A question that needs to be settled is who owns the rights to personalized art. We have a right to claim ownership over the things we design, create, or produce. But what happens if we design something that designs something? Who owns the final product? Can I trade my ‘personalized art’ at future internet auctions of AI produced art? To produce art, sound craftsmanship (and talent) is required. One must learn the basics of how to draw, paint or sculpture or to compose music to name just a few of the disciplines that need to be mastered. One might go to art school to learn these crafts for his own pleasure and personal creations. Others see art as a life-mission, supporting their existential needs through the production of art. Typically, these are the ones whose art-work is traded or performed, while the level of success and public acceptance determines the value of their productions. Art implies creative passion and the urge to communicate emotions and beauty. While the technique for production might be supported by intelligent machines, the combination of passion, creativity and emotions are likely to remain a human asset. An artist might opt to augment his productions with AI tools but the emotional message that sparks excitement from his or her audience is the result of his own human engagement. From a customer’s point-of-view AI produced art and original art produced by humans are likely to co-exist. It could well be, that the value of art produced by humans is more appreciated as AI produced art and its variance of personalized art raises the level of awareness towards art. To copy and replace human tasks with intelligent machines does not stipulate that machines are equal to humans. As we must differentiate between machine-consciousness and human-consciousness, the same holds true for machine-art and human-art. To augment humans with intelligent machines is the path to follow and one we cannot escape. Anything else will possibly rattle the foundation of our society.